Leyard has hired LED industry veteran Nedi Nadershahi. Nadershahi will serve as principal scientist in Leyard’s research and development department based in the United States, leading design efforts for the company’s next-generation LED video wall architecture. Nadershahi comes to Leyard with a 30-year history in the pro AV and IT industries, most recently as chief technology officer of SiliconCore Technology, a manufacturer of LED displays and laser diode controls. While at SiliconCore, Nadershahi was instrumental in introducing a family of LED pulse width modulation (PWM) controller driver products, as well as a line of LED display products. 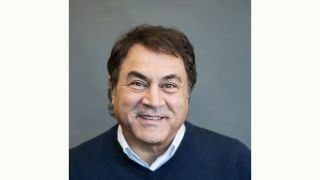 Prior to SiliconCore Technology, Nadershahi served as the chief executive officer and founder of WaveNexus Technology, an early-stage startup focused on multi-standard radio for 4G and new emerging wireless multimedia products. Nadershahi has also held senior engineering positions with Magnum Semiconductor, Oak Technology, and Hitachi Semiconductor.